Happy Friday! 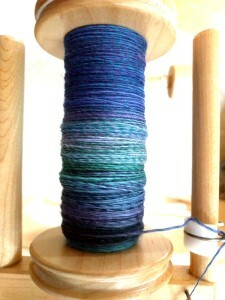 Just a quick check in today to show you how the spinning color experiment is going. 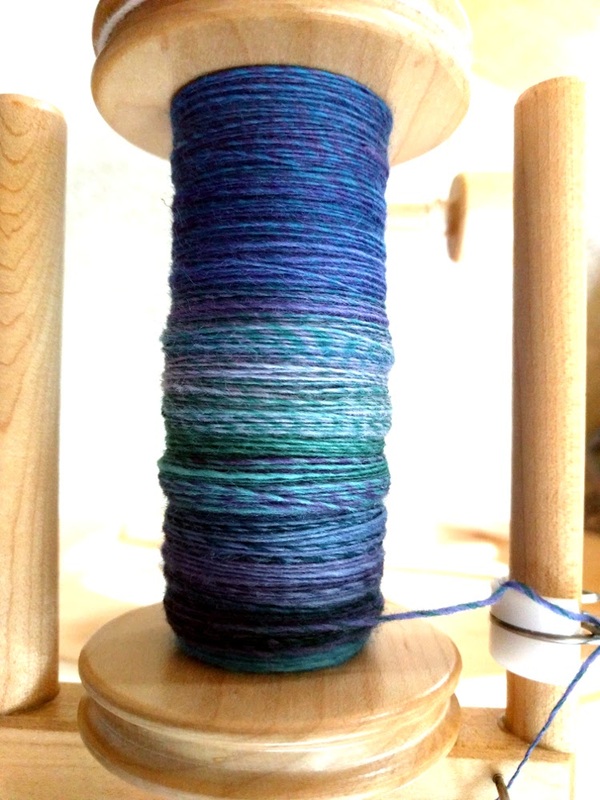 So far I’ve spun up just three of the little bumps of fiber strips onto my first bobbin. I’m finding it easier to blend the colors together if I pre-draft a little bit first while holding both of the strips together. They don’t need much, because the strips are so thin already. But it is helping to ensure that a little bit from each strip is incorporated into each draft before being twisted together by the wheel. Some of the color blending is very subtle at this point. There are sections on the bobbin that appear to be a single color. Then there are other sections which are very clearly two colors twisted together. You can see an example of each in the photo there. I’m hoping that when I ply three bobbins together those sections that read as more of a single color will mingle with sections that read as multiple colors. Or at least that the color values are evenly distributed throughout. We’ll see how that goes when I get there. Meanwhile, there are more singles to be spun. Good thing I have an afternoon of TV episodes queued up for this weekend. Then there’s also a football game to watch. 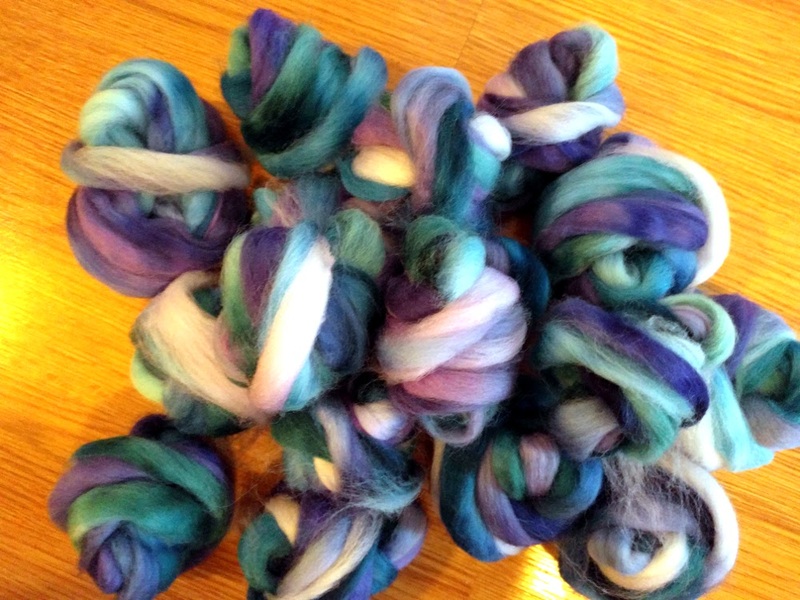 Lots of good spinning time! This entry was posted in Spinning and tagged blue, creativity, spinning, wool. Bookmark the permalink.